Doctors Foster and Smith - Pet supplies for your dog, cat, fish, bird, reptile & more. Dog Breed information Center - Puppies and dogs for sale, dog breeders, breeder listings. Fanciers Breeder Referral List (FBRL) - An advertising service for breeders of pedigreed cats and kittens. Springcreek Labradoodles - Oregon's original Labradoodle and Goldendoodle breeder, and one of the first in the U.S.
AltVetMed - Complementary and alternative veterinary medicine. American Kennel Club (AKC) - Information on dog breeds, dog ownership, health, nutrition, exercise, training, behavior and grooming as well as news from AKC clubs, competitions and sporting events. American Sanctuary Association (ASA) - Exists to assure the humane and compassionate care for these animals by setting standards for their care, accrediting sanctuaries that meet these standards, networking with member sanctuaries, assisting in the rescue and placement of homeless animals, supporting legislation that protects animals, educating the public, and reaching out to other segments of the rescue community. 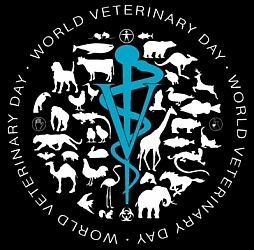 American Veterinary Medical Association (AVMA) - News, publications, professional resources, resources on care for animals. Becoming a Tripawd: The Truth About Leg Amputation in Dogs - Excellent article by Heather Crotsley. For more info on her dog, Barrett, see her blog. Best Friends Animal Society - Animal resuce and advocacy with regional programs in New York, Los Angeles, Utah, Atlanta and Houston. Manages a model No Kill campaign with shelters and humane groups in Los Angeles and Utah. Also see library of pet care tips. Birds n Ways - Guide to pet parrots and exotic birds care and breeding. Classified ads, bird magazine, forums, articles, breeders, parrot cages, toys, foods, accessories, bird shows, bird clubs, chats. Bow Wow Meow - Thousands of pet names, popularity, meanings and ratings. Breeder's Registry - Information on aquarium culturing of saltwater fishes and invertebrates. Cat Facts - Extensive information about pedigreed cat breeds, from a site created by hobbyists, breeders, and cat lovers. Cat Fanciers' Association (CFA) - Registry of pedigreed cats. Information on cat shows, cat breeds and cat care, and a showcase of top winning cats. Also, the latest news about CFA. Companion Animal Parasite Council (CAPC) - A on-profit organization of veterinarians and parasitologists dedicated to protecting your family and your pets from parasites and zoonotic disease. Dental Care for Dogs - Just like humans, dogs need regular dental care to stay healthy. Dog Tales - Professional and personalized care for dogs in San Francisco. Dog walking, training walks, day care, cageless boarding. Dog Tips: Household Hazards, Poisons and Safety - From Partnership for Animal Welfare in Maryland. Dog Toys: How to Pick the Best & Safest - From The Humane Society. Dogs and Water Safety - From WebMD. Emergency Planning: Protecting Your Pet - Provided by Partnership for Animal Welfare. FDA: Animal and Veterinary - Regulates the manufacture and distribution of food additives and drugs that will be given to animals. These include animals from which human foods are derived, as well as food additives and drugs for pets. Financial Benefits of Adopting a Pet - You can actually save money by adopting over shopping. Breeders and pet stores come with considerably higher costs — both up front and over the life of your pet — especially when compared to animal shelters and rescue organizations. Finding a Lost Pet: Where to Start - Advice, help in locating a missing pet. Fire Safety Prevention and Preparedness for Pet Owners - From HomeAdvisor. Guide to Pet-Safe House Plants - From ImproveNet. Healthy Pets Healthy People - Although animals can carry germs, it is important to know that you are more likely to get some of these germs from contaminated food or water than from your pet or another animal you encounter. CDC has created this Web site to provide you with information about the health-related risks of owning and caring for animals. HealthyPet: Hospital Search - Located all over the United States and Canada, AAHA hospital members are dedicated to excellence in small animal care. Hiking Safety Tips for Dogs - From ASPCA. HomeoAnimal - Natural homeopathic remedies for pets. Also see: HomeoAnimal's The Ultimate Guide to Pet Adoption. How to Keep Your Dog Safe in the Summer's Heat - From Cesar's Way. Humane Society of the United States - The largest animal protection organization in the U.S. It helps animals by advocating for better laws to protect animals; conducting campaigns to reform industries; providing animal rescue and emergency response; investigating cases of animal cruelty; and caring for animals through its sanctuaries and wildlife rehabilitation centers, emergency shelters and clinics. Is Your Yard Safe for Your Dog or Cat? - From WebMD. Merck / Merial Manual for Pet Health - This in-depth new resource, based on the best-selling Merck Veterinary Manual and authored by over 200 veterinary experts, covers the full spectrum of today's pets - from dogs, cats and horses to birds, reptiles, fish and other exotic pets. No other book provides as much health information on as many types of animals. Merck Veterinary Manual - Comprehensive electronic reference for animal care. Mission Pet Hospital - San Francisco. Pet care and services. 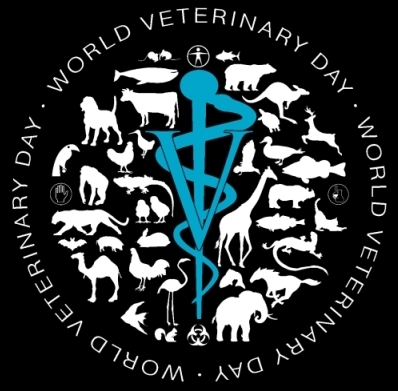 NetVet World Wide Server - In-depth articles by veterinary staff. Partnership for Animal Welfare - A non-profit group of volunteers chartered to facilitate the rescue and adoption of homeless domestic animals, mainly dogs and cats, and place them in loving and stable homes. Based in the Metropolitan Washington, D.C. area. Pet Care: Disaster Preparedness - From ASPCA. Pet Safety Guide for New Owners - Supplies needed, beginner tips and home safeguards to keep your pets safe. PetEducation - Contains over 2,500 in-depth articles written by the Drs. Foster and Smith veterinary staff. Petfinder - Search over 350,000 adoptable pets; locate shelters and rescue groups, browse pet care resource library; post classified ads for lost or found pets; sign up to be a volunteer at a local shelter or resuce group. Petswelcome - Pet travel resource. PuppyFinder - Puppy breed selector, expert puppy advice and tips, comprehensive breeder directory, current dog news. Shelter Pet Project - A collaborative effort between two leading animal welfare groups, The Humane Society of the United States and Maddie's Fund, and the leading producer of public service advertising (PSA) campaigns, The Ad Council. It's goal is to make shelters the first place potential adopters turn when looking to get a new pet, ensuring that all healthy and treatable pets find loving homes. Find a pet; find a shelter; learn about pet adoption. Shih Tsu Expert - Geared towards owners of toy, small, medium, and large breed dogs. Provides a compilation of free guides and advice by practicing clinical veterinary advisors. Society for the Prevention of Cruelty to Animals (SPCA) - Dedicated to helping people with pets. Spruce Pets, The - Practical, real-life tips and training advice to help you care for your pet. That Pet Blog - Pet advice, pet care articles, and pet stories. Truth About Dog Food, The: An Expose Every Dog Lover Needs to Read - From Rover. Ultimate Guide to Pet Adoption - From HomeoAnimial. VIP Grooming San Francisco - Dog grooming services. Waltham - A leading authority on pet care and nutrition with an outstanding reputation among pet owners, breeders, veterinarians and academics. Westminster Kennel Club - The official site of the Westminster Kennel Club dog show, featuring news, events, dog shows, pictures, videos, records. Wiley Pup - Progressive dog training styles. Also of interest, "Why Adopt a Shelter Dog? 20 Astonishing Shelter Dog Facts." This webpage last updated on Thursday, December 6, 2018 1:32 PM.